One of the "birthplaces" of the movements for racial equality? What's up with this area around Americus? How did it give birth to champions of racial equality, of service to mankind? Sometimes, things just aren't what they seem to be. Thanks to owners of a bed and breakfast in Americus, we saw a part of Georgia that many never get to see. Off of Highway 49 near Americus is a most fascinating rural community by the name of Koinonia. 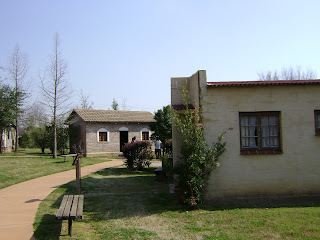 In the 1940's, two families founded a Christian community. 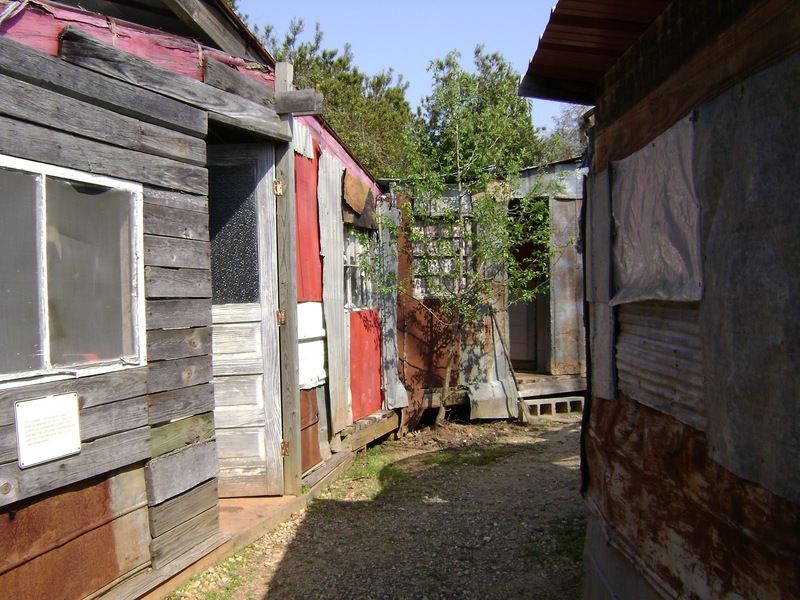 Their neighbors were mainly black sharecroppers and tenant farmers. At first, they were welcome. But later, because of their preaching of racial equality and a seeking of partnership of black and white in active living of their Christian beliefs, they were rejected by their white neighbors. So rejected that they had to resort to mail order in order to sell their produce. Even today, you can mail order pecans, chocolate and other goodies from them. I am told that some of their peanuts go into major brands of peanut butter. So, you may have eaten their peanuts growing up, and even now. During the 1950's, Koinonia withstood attacks from white supremest organizations, something that deserves the label of "terrorism". Many families left. The story, told from the Koinonia viewpoint, is on their website. 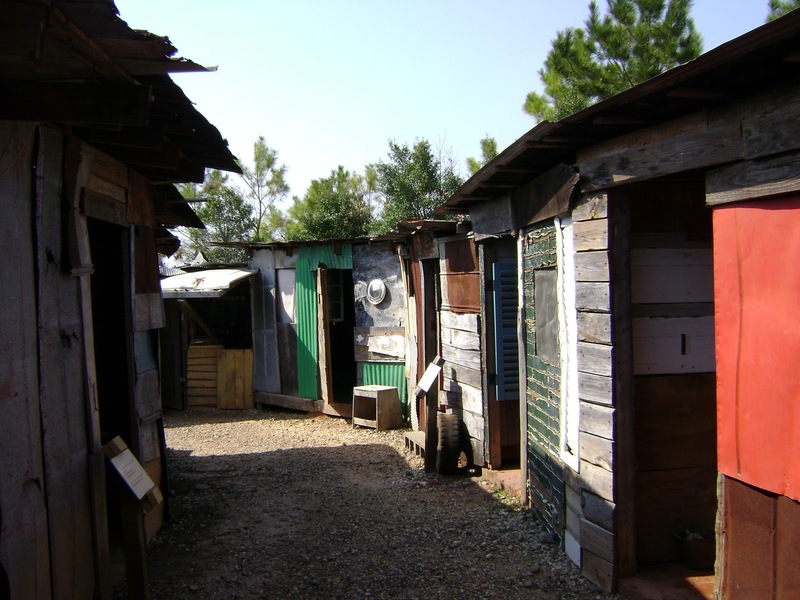 Habitat for Humanity grew from this movement, but I am told that the story is a bit more complex than the way it is described on Koinonia's website. I will not pass judgment on that. So what did we see when we visited Koinonia back in March? We dropped in totally uninvited and after some waiting around were welcomed by a young man. (If you visit, please keep in mind that this is a working Christian community, not a tourist attraction!) He gave us a brief tour of the grounds, showing us the pecan groves. We spent a lot of time in the harvesting shed. We were shown the machinery, including some with modifications created by the group and chatted for a bit. The young man patiently answered our questions. Much of the harvesting of the pecans is done by volunteers. We were invited to come back for harvest time. I would not call it a "commune"-that word has certain undertones that do not apply here. This is a very deeply religious community. Their co-founder, Clarence Jordan, wrote what today is called the "Cotton Patch gospel". (The Cotton Patch Gospel is a retelling of the Gospel according to Matthew, as if it had taken place in Southern Georgia. It remains controversal in some communities.) The bed and breakfast we stayed in had a VHS tape which would have given us more information, but we did not have time to view it. They follow organic practices where possible. Not all products they sell are theirs but, for example, their chocolate is Fair Trade, pursuant to their beliefs in social justice. We were invited to stay for lunch with the other farm residents, which we declined. If I had been more religious I may have accepted. But we did buy papershell pecans, which are a treat we can not buy up here in upstate NY. Incidentally, they have a very nice holiday catalog, if you enjoy nuts, social justice, and a slice of Georgia many people are totally unaware of, please consider buying some of their holiday gifts. 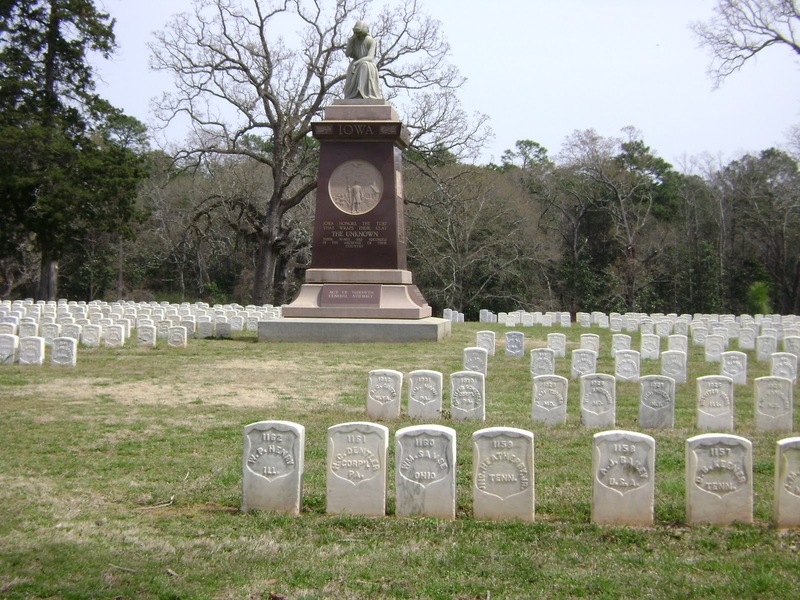 They are priced right, and you are supporting a fascinating piece of Southern history. We normally travel to my mother in law, 150 miles away. This year we stayed home because we knew our son was going to have to work. Turns out though, due to his schedule, he decided to come tomorrow. So we recent empty nesters were suddenly home for Thanksgiving, the two of us. The forecast was for light snow turning to freezing rain and sleet, so we were happy we didn't have to travel. Instead, we decided to do things early before the weather got started. In no particular order, we looked at Black Friday ads, walked 3 miles, shopped at K-Mart for my Angel Tree giftee, bought a new printer online after a lot of comparison shopping, and now to cross my fingers that it is a good one. And guess what? We got the snow, but it was in the upper thirties and so we never got the other stuff and the snow never stuck. Big sigh of relief. I played some FarmVille. I made whole berry cranberry sauce with a hint of lime zest. (yummy). We had a relatively late dinner. Dear spouse managed to dump all the gravy drippings down the sink (don't ask how) but managed to salvage a small amount from the pan. Our next door neighbor gave us an old bottle of wine (in his 80's, he is under cardiologist orders not to drink any more) from his young wine-making days. We had that and some sparkling grape juice, as our beverages. We are still unsure exactly what we are going to be doing tomorrow for Black Friday. I did a lot of comparison shopping on the various Black Friday websites, but I still don't even know what I want to get anyone as gifts. I think I am just.....tired. But very thankful, for a lot of things. Thankful that I have a roof over my head, a spouse that I want to spend time with, a full freezer, a spouse who cooks, a warm house smelling of holiday, and a son who will be having dinner with us tomorrow. The Purity eggnog from Ithaca we bought last Sunday is waiting for him, along with magic cookie bars I baked yesterday. Today, of course, is the American Thanksgiving. On this day of giving thanks we should pause. Those of us who are fortunate enough to have jobs and family, and a warm home should take the time to think of those who don't. In our March trip to Americus, Georgia, we visited Habitat for Humanity headquarters. This worthy organization is well known for its support of decent, affordable housing both in this country and overseas. 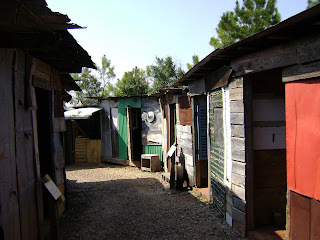 Besides the headquarters, on the grounds is what could be best described as a "slum theme park". The first two pictures are recreations of representative "before" pictures. The final picture shows Habitat for Humanity housing solutions. All solutions are sensitive to native cultural requirements. For example, where a culture would encourage a family to live in one common room, that is what Habitat will build for them. Clustered around some of the "after" examples were people visiting from other countries, examining the exhibits closely. Our local chapter of Habitat for Humanity has posted examples of the work they have done in our community. A long way from a small town in Georgia to the Triple Cities. But the Americus, Georgia area is even more remarkable than that, as I will explore in another post. For an entire generation, that day defined us: the day President Kennedy was assassinated. We can all tell you, we people of my generation, exactly where we were and what we were doing. So can another generation for December 7, and still another generation who remembers January 28. And finally, for my son's generation, that day is September 11. For my spouse, in elementary school, the school announced it just shortly before the school bus boarding time. My spouse was in the school library waiting for the bus. Me, I was home with a broken leg (being home instructed by the NYC schools). My mother had left me to go shopping and came back, sobbing. She turned on the TV and that's how I found out. But my generation is fading away and the December 7 "greatest generation" loses more and more of its members daily. January 28 generation (1986, Challenger explosion) will fade. And yes, even September 11, 2001. Time is the one thing common to all of us mortals. It moves too quickly, the older you get. The sad thing is, for my son's children, when they come, there will come a day to remember, too. The Guardian Angels are coming to town. More specifically, Binghamton. And Johnson City. And Vestal. I've blogged several times, but not lately, about my growing up in the Bronx. By the time the early 1970's came, the neighborhood I had spent almost my entire life was, to put it bluntly, a shambles. Gangs (especially the Black Spades in my neighborhood, the Savage Skulls elsewhere, plus some other gangs), owned the streets The halls and stairways of the apartment building I lived in were covered in graffiti. People urinated in the elevators. People threw trash out the windows. Gunshots occasionally echoed through the night. It was not a good time, to put it mildly, for the many decent people in that neighborhood attempting to survive. There was a manager of a McDonalds on Fordham Road by the name of Curtis Sliwa. He saw what was going on around him and started neighborhood patrols. These grew into an organization called the Guardian Angels. This much is undisputed. Yes, he is controversial. A lot of people call him a fake. He has been a radio talk show host for many years. He makes good money giving speeches. People have accused him of many things, which I can not pass judgment on. But the fact is, he started out as someone on the front lines, in a retail business, and saw a lot more of some of the same things I did. What did we both see? That neighborhoods can go bad, and can go bad quicker than the blink of an eye, if the people who live in them do not fight back. Quickly. In the blink of an eye. If people do not face up to what is happening and try to make excuses, turn a blind eye. It's a scary thing, that facing up. It takes courage. And now, the Guardian Angels are coming to Binghamton and other surrounding communities. People are volunteering to join them. I get the distinct impression that the Binghamton police are not thrilled about this. Maybe because it causes a recognition that Binghamton is not what it used to be. Folks, we have to recognize that, even if we don't want to. Blame it on people coming from NYC, blame it on drugs, blame it on whatever you want, things have changed. And that is why the Guardian Angels are here. And, if I see you walking down the street in downtown Binghamton or downtown Johnson City, I am going to smile, and be grateful you are here. At least for now. To HDTV or not to HDTV? Why is it a yearly Black Friday question? Spouse and I were reminiscing about them good old days. The good old days when you bought a TV set and the main decision was....19 inch? or 25 inch? And then you went to the store and saw which picture looked the best. You looked at the ads for the best price. Maybe checked a magazine like Consumer Reports. Fast forward a lot of years. The last several Novembers, leading up to Black Friday, it has become a game to torment ourselves. When we were in our 20's we (for a variety of reasons) went through two periods of not having a television. This may amaze anyone under the age of 40 who reads this blog. I did miss it, especially because I couldn't watch my favorite show of the time (M*A*S*H). But I really didn't miss it that much. And as a result, a TV has not been a truly important part of my life for years. (Now, on the other hand, they would have to pry my computer out of my cold, dead hand.). Today, we had our yearly beat-ourselves-up session on the computer to research HDTV's. Now, as we read, households with HDTV's are now the majority. So should we take that plunge? I feel pulled by seeing friends with HDTV's and how nice the picture looks. So seductive. But on the other hand, our Magnavox 19 inch "picture tube" TV has served us well, for many years, and that picture is nice too. Why get rid of something that still works? And spend almost $1,000, to boot? I don't want just any HDTV. I want one that is internet-enabled, so I can stream Netflix movies. And maybe watch You Tube videos on. And....(see how the computer functions sneak in there?) $1,000 is a lot of money. We are grateful to have the money to spend but....wouldn't there be better uses? Aren't we lucky to be in that position, a small voice tells me. And, do you really need a TV? While on the other hand, spouse (who hardly uses the computer except for checking his bank accounts), feels like he is being dragged into some kind of loathsome new age that he never wanted to be a part of. He feels forced. One day soon, our Magnavox will be obsolete, left in the dust. So.. (oh, how I hate to say this)....stay tuned. She was standing there by the end of an aisle, on her crutches. There but for the grace of the timing of me hurting my ankle, that could have been me. Over the years, a new element has entered the fray. Wheeled suitcases. Seemingly every one of them loaded with books. At one point I tripped on a wheeled suitcase (hadn't seen it, in the crowd) and went flying. Luckily I had my air cast on and I didn't resprain my ankle. One thing I do have to mention is that people actually are somewhat polite, as hordes of bargain hunters go, at this annual sale. There's no shoving, and people (usually) apologize. But I really think they should ban the suitcases, at least the small ones that aren't easily visible in the fray. I wonder how many people, over this week, actually did get injured. And I hope that lady got out of the warehouse OK.
Would I have gone to this sale if I was still hobbling around on crutches? Since I had a companion, possibly. Which shows you how crazy people can be when it comes to a bargain. I saw something inspiring, as we get closer to the Thanksgiving season, this afternoon. I had gotten out of work early for a couple of appointments. After the appointments, spouse decided we should get our Thanksgiving turkey. We did so, and then remembered that a nearby Aldi had good sales on fresh cranberries and also celery. I don't know if you have an Aldi's where you live. If you do, it is an interesting concept. Aldi is actually a huge chain in Germany, with stores in various stores on the Continent and also in Great Britain. In the United States, for some reason, they initially came in as a "bargain" store, with (in my opinion) dirty, ill lit stores. I would not shop there for years. You couldn't get a shopping cart without paying a deposit. You had to bag things yourself (and if you didn't bring bags, they would gladly sell them to you.) The employees "did it all", the same people doing store cleanup, stocking, and cash register. Due to that ad, we gave them another shot. 'They had seriously upgraded the stores in the meantime, with better lighting and edible produce. So we do shop there on and off, depending on the sales. You can't beat their prices, although I don't think I would ever buy fresh meat there. But they do have a number of really decent store brands (they sell very little national brands, if you care about that-I don't) and when they have specials on German food....well, they are German. At one time, their target clientele, to be blunt, was lower income people. But now with the economy, you find a lot of middle class people in there too. Times are hard. I'm grateful for the Johnson City Aldi. (they've even opened a second store just to the north of Binghamton). Anyway, there we were getting ready to check out. We only had three items. The line was long, although the lines there tend to move quickly. The person at the back of the line had an overflowing cart. "Here, go ahead of me." The next person also let us in, and also let go ahead of him a person right behind us who had two items. His clothes were a little dirty and he walked like he had a stiff leg, with a limp. We struck up a conversation with the man with the limp. He had some extra money because he had sold two cars at auction today. He had been up since 5 am. It was a good day for him, because he was able to buy another car to fix up and sell. Best of all, it was his birthday. He couldn't see why he should spend $30. at Texas Roadhouse when he could buy some frozen steaks and cook him at home (we don't know if he had a loved one waiting for him. I hope so). He was so glad to be spared a few extra minutes on line, so he could get home and rest. I hope this gentleman had a wonderful rest of the day, due to this random act of kindness. Books about penguins? No, the Penguin USA book sale - the book event "of the year". People come from hundreds of miles in order to shop. It is sheer madness. Years ago, the sales used to be held right at the Penguin (in those days, Penguin-Putnam) facility off I-81 in Kirkwood (right near the Pennsylvania border), and it was for only one weekend in November: Saturdays and Sundays. At those sales, there were books and other items around the perimeter of the warehouse, and people fought their way to the tables to get the goods. And were they ever the goods: Hardy Boys and Nancy Drew hardcovers for 50 cents each, childrens books by major authors for $1.00, bestsellers hardcovers for a song. Some of these must have been "irregulars" but no one cared. I bet a lot of people in upstate NY, if they got books for Christmas, got them from people who shopped those sales. I think, with the last one or two years, they also had DK Books and some Readers Digest books. As I recall, nothing was over $3.00. This was pre-Internet so it was pre-eBay. Ah, the good old days. At that time I had a young child and I dove in for the bargains. We only went on Sundays: the Saturdays were impossible. Fellow shoppers revealed themselves as we shopped together: teachers, parents, librarians, grandparents, daycare workers, employees of nonprofits, homeschoolers. One person I spoke to once had driven from Albany,almost 3 hours away. We were so lucky to have this right in our own backyard. A perk of living in a burnt out industrial town....oh, here I go again. Lucky even though we lined up for an hour or more outside to get in. There was always snow on the ground. One year they gave out really neat inflatable globes. My son loved the toy, but did he ever grow to hate the sales. And then the sales stopped. Several years passed, my son grew and became a teen. Those Eric Carle and then Hardy Boys books were a memory. Then, the sales began again. For a couple of years the sales were held, for a week only, in a former Ames building. Prices were higher. The sales (I felt) were junk - a lot of obsolete "Idiots Guide" books and, well, things that were mostly boring to me. Each aisle seemed to have the exact same books. Then, two years ago, (I think) the sales moved to a vacant warehouse in Conklin. More room, and this time more of the good old Penguin Putnam sale flavor. We went one Saturday, and waited two hours on line to check out. We know the secret now: go on Monday (when the hours are 5 to 8). Get there right around 4:50 or so. You won't even wait to get in. I didn't spend this much this year but I am pleased to report there were a lot of bestsellers once more. And some really good children's books. A lot of Taste of Home cookbooks (which my spouse, the cook, does not favor.) Lots of gardening stuff, Readers Digest "how to" books. Maybe one year (just not yet, please) I will be a proud grandparent getting my grandchildren books. Until then....well, I didn't get gifts for anyone but it was nice being there. I did pick up something for the Angel Tree event my employer will be participating in for disadvantaged children (Salvation Army). Maybe next year they will do it again. We were awakened in the middle of the night by a huge BOOM! In my sleep fogged mind I had no idea what had happened. I didn't hear thunder previous to this and - anyway, in upstate NY, you don't get thunderstorms in November. So what does this portend for our winter? Beats me but we are not having the most pleasant weather pattern right now. It was so windy at noontime that my walking companion and I gave up. I'm not walking much due to my ankle, but I would have liked to walk a little bit at lunch. Fortunately, it was not cold. At least one school district had to close schools. And, our lights flickered at work - there are other people without power right now. My spouse, who loves to follow the weather, has a feeling something bad is going to happen (weather wise, that is) right around Thanksgiving. I hope he is wrong. But be it as it may, more evidence that the weather is....strange, and unpredictable. The last ice cream stands are closing, their picnic tables stacked. The golf driving range/nursery we get plants from has shut its doors, although it still is displaying "Sale!" signs from their "get rid of the last mums" effort. Dried leaves blow from yard to yard. The last trees with remnants of green leaves reach to the weakening light, soaking in the last warm rays of an "Indian" summer before they shut themselves off for the winter. The 2010 farmers market at Otsiningo Park is now history. We of the Triple Cities prepare for Thanksgiving, decorating in orange and brown and red, while we gird ourselves for the holiday season. We who are fortunate enough to have jobs look forward to turkey and Black Friday, to local pumpkin pie and candy apples, to cider and warm donuts. Those without jobs.....pray the food pantries will be full for them. We remember the summer but know that the first snow flurries and sleet have fallen, and that the streets will soon turn white with snow. From time to time, I have enjoyed the editorial cartoons of Matt Davies, a Putlizer prize award editorial cartoonist. Our local newspaper (yes, I read the newspaper!) runs him from time to time. Ran, because Matt Davies has lost his job. And it would seem he's not the only one. Editorial cartoonists are a dying breed. Sometimes, literally. Other times, they just are laid off and never replaced. We as a country, a people, are diminished because of it. Think about it. Editorial cartoonists, in a way, are like political comedians. They make us think. They point out absurdities. They are controversial. Sometimes, I guess, they make us think too much. But, why lay them off? Seems that they make a lot of money. Of course, so do movie stars, producers, and professional athletes. But is anyone laying off Harrison Ford? James Cameron? Or Eli Manning? Oh, wait. Those are people in successful industries. Newspapers, on the other hand are dying. So what should a dying industry do? That's right, get rid of their prize performers. "Ditch" the remaining people that make you want to read a paper. After all, some wag once said that all newspaper stories are good for is to keep the ads from bumping into each other. So what do you need prize winning writers in a newspaper for? Anything will do to fill up the space. So newspapers continue their death spiral, with more layoffs, leading to less readers. One day we will wake up and the daily paper won't be at our doorstep. Will we miss it then? Veterans Day. Most of us know the symbolism linked to the end of most hostilities in World War I: the 11th hour of the 11th day of the 11th month of the year 1918. Originally called Armistice Day, various countries now use it to remember both World Wars and call it Remembrance Day. Here in the United States, it is Veterans Day. On this day we remember all veterans who served honorably in wartime or in peacetime. There is a special group of veterans - those who were prisoners of war. In Andersonville, Georgia, there is a special museum devoted to the POWs of all wars. Best of all, it is free of charge. We spent an afternoon there back in March. Although I was attracted to Andersonville as part of my interest in the Civil War, the museum featured information from a number of wars. I especially was drawn to the exhibits talking about POWs from World War II. 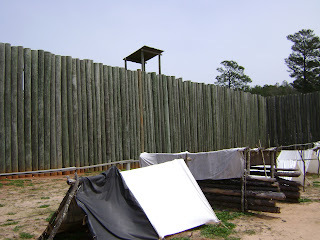 Then, there is the "reconstruction" of Ft. Sumter. 33,000. men held captive on 26.5 acres. Walking this land, you can almost feel the ghosts. The "tents" (obviously not originals) in this picture were called shebangs, and the soldiers who owned them were rich, in the society of prisoners-at least they had some shelter from the elements. During the 14 months of its existence, some 30% of the men confined there perished. The very first casualty was a soldier from New York State. These walls are not original, but are based both on photographs and archeological excavations done in the late 1980's. The stream that watered the prisoners is still there today, along with markers for various "wells" that were dug by the prisoners. Thanks to archeological digs, historians were able to reconstruct the "deadline", a line inside the walls-if a prisoner went over this line they were shot dead. For many, doing this intentionally was the way they left the prison. But...to paraphrase an old "M.A.S.H. "...we were able to step in. We were able to step out. Walking those grounds was like walking a Civil War battlefield, but in a way even more special. The final picture is of one of the monuments on the grounds. One observation was made by the owner of the bed and breakfast in Americus where we stayed. 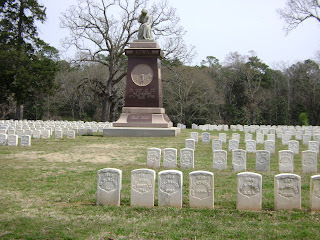 There were many Civil War prisoner of war sites both in the South and in the North. Both sides were guilty of atrocities towards their prisoners. 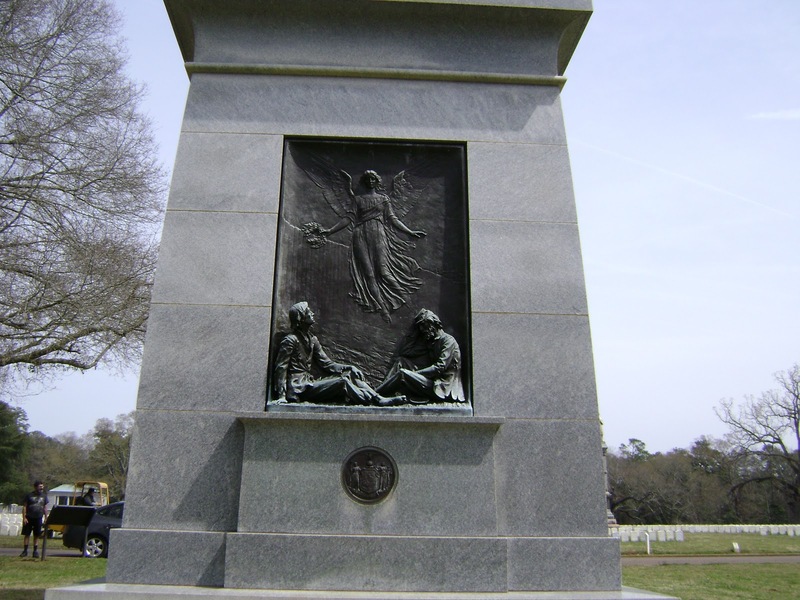 But Andersonville may exist as a memorial park because...well, after all, the North won. And isn't it true, this owner asked me, that victors write the history? The POW Museum does have a very large map showing the sites of these various camps. One, which is well known to historians in our "Southern Tier" area of upstate NY, was the Elmira Prison. Sadly (so perhaps that B&B owner was correct) it is true there is no national park there. There is a monument, but the prison site today is a residential area-and it is said that few people living there know the history of their neighborhood. While I am in back the mood for talking about history, and going through some of the photos from my March vacation: we came across this marker on our trip to the Americus, Georgia area back in March, and our small detour was rewarded. 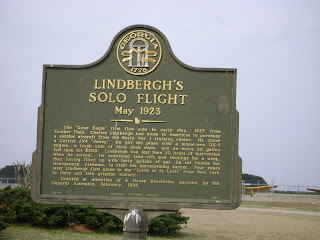 Off of Georgia 49 near Americus, lies the site of Charles Lindbergh's first solo flight. Truly, something off the "beaten path" of tourism. 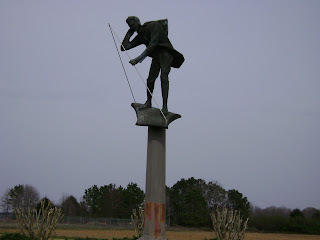 There is a a marker and a statue at this site, Souther Field. The area around Americus is very rich in history. I should spend some more time going through those photos. So many people my age are caretaking elderly parents. I have my mother in law (neither of my parents lived to "old age") who we help out long distance. (knock on wood, she is in relatively good health), my best friend has practically moved in with her 90 plus year old mother (another long distance situation), I have several other friends/acquaintances/co workers in the caretaking of parents situation. I've also been blessed for the over 20 years we've lived in our house here in the Triple Cities to have the same couple living next door. When we moved in, the man of the family was taking early retirement and the youngest son of his large family was getting close to college age. They were enjoying life, their children and their grandchildren (I think they eventually had 23 grandchildren, unless I've lost count), had time for hobbies, their church, and more. I've seen them age in the past 20 plus years and it hasn't always been a happy journey for them. We spent some time with them today. We don't see them as much as we should. I have to admit that sometimes it can be hard to see people that have been a caring part of our lives for so long...well, get old. But that is no excuse. They have been almost ideal neighbors. Their youngest son and his family lived with them for a couple of years (while his wife battled cancer) and he in turn extended friendship to my son. The son finally was able to buy a house locally and they are out. My neighbors live alone with a housekeeper and, now, a cat. Both are now frail but still have a lot to offer. I know my mother in law, who loves to be around people, can be lonely at times, too, because it is painful for her to drive and to get around. I have to remind myself at times like these that I won't have these good people in my life forever. And that, one day, I will be in their situation. When that happens I so hope I will have loving people in my life. Because old age can be a lonely, frustrating place. I had my first morning out since Tuesday morning, when I sprained my ankle. Now crutch free (but still wearing my air cast) I set forth on my quest. One thing I've suddenly been paying attention to is the quality of the area parking lots. Or, should I say, abundance of crumbly asphalt and potholes in said parking lots. There are a lot of elderly in this area and I think of my mother in law, who uses a cane, having to negotiate some of these lots if she lived here (which she doesn't) to do her daily shopping. My first parking lot experience was in downtown Johnson City, at Health Beat foods. A wonderful locally-run health food store that is a staple of downtown Johnson City, I could only wish that whoever maintains their parking lots could fill in the potholes, some of which (only slight exaggeration) could probably swallow a baby whole. Well....only exaggerating slightly. I can only hope that whoever owns that lot never has to don a cast or use crutches to get around. Luckily my spouse drove me, so he let me out in front of the store. But I had to walk through that lot to get back to our car. I find it hard to believe this business was certified "Elder Friendly" (a local certification) with the condition of the lot. Anyone needing to use a cane or a walker would find it hard walking in that lot.Especially if they were also visually impaired. Makes my ankle ache just thinking about it. Yup, really makes people want to shop in downtown Johnson City. Just think, in a couple of weeks there will probably be ice and snow on the ground to add to the general condition of that lot. I don't like to get snarky, but I am far from the only one of your shoppers having a disability: and mine is temporary. Many folks' disabilities aren't temporary. They deserve better. Then, there was Price Chopper, a supermarket in Binghamton. A shout-out to Price Chopper, who built their first two Binghamton area stores on the sites of former Endicott-Johnson factories, thus getting rid of eyesores and benefiting our community. But no shout out for the current quality of the parking lot. Price Chopper is doing new construction in this shopping plaza and I hope this will include a re-do of the parking lot. I could give out several more "dishonorable mentions" but I think you all get the general point. Just because this is a "burnt out industrial town" doesn't mean landlords can't have a little pride in their properties, for the sake of the elderly and disabled. I can't even remember why, on a trip to acquaint us with this area, we even stopped at this very nondescript roadside store. I think it must have been the wonderful aroma of wood smoke. It was a find that helped defined our journey through local food. We've been coming back every year for...oh, over 20 years now. We took our son there every year after he was born until he was a teenager and we could make the trip ourselves. Maybe one day he will go there too, but right now he isn't much of a meat or sausage eater. Basically Dottie Lou is a rural general store with about 80% of its space devoted to....meat. Dotti Lou, according to their Facebook page (yes, they are on Facebook! ): "We manufacture all of our own meats. Lunchmeats,hotdogs, kielbassi,hams". Over the years the place has been brightened, given a new look, but the quality remains the same. Rubs and sauces adorn the counter. The bacon is first class. The sausages are wonderful. Smoked meats, including turkey and chicken, have joined the lineup. There's a small deli selection including Lebanon bologna. The prices are right. But, change happens. The news is, they have a second location, in Ransom, PA now. The Ransom location is selling soups and sandwiches which makes me wonder if Stevensville will do this one day, too. I am going to stick to the original location, as it is closer, but will wonder what will greet me the next time we come to Stevensville next year. Kind of something to look forward to as we slide into winter. A native of New York City and an almost-history major in college, I am astounded sometimes by what I never learned in my Bronx school education, and even more astounded when I don't find something utterly amazing until 2010: and worse, I find it in the Young Adult section of the library. Sometimes I think the Young Adult (YA) books are more timely and sometimes....I guess, less timely. Until finding a certain book called "Journey into Mohawk Country" by Messrs. Van den Bogaert & O'Connor, I never knew that a certain Harmen Mayndertsz van den Bogaert had written a diary of his journey from New Amsterdam [New York City] to Ft.Orange [Albany] accompanied by two Dutch and five Maquasen Indians [Mohawk] taking approximately 5 weeks, during December of 1634 and January of 1635. His mission? To find out why the Mohawk were abandoning their beaver fur trade with the Dutch in favor of trading with the French. Until I had traveled in September to Stillwater and Ft. Ticonderoga (and Lake George Village), I had not paid much attention to the history preceding the French and Indian War. Now, I seem to be running into it everywhere. The YA version of this book was actually a graphic novel. But like the old Classics Illustrated comics, this graphic novel may lead readers to the original book. For me, it was a good read while I was nursing my sprained ankle. This was raw travel. Van den Bogaert and his traveling companions would not have made it to Ft. Orange had it not been for the hospitality of the Maquasen and Sinnekens [a general word for Native Americans west of the Mohawk, but used here to describe the Oneida]. They traded tools and weapons for the Native hospitality. They slept in longhouses, tried a couple of times to heal sick Native Americans at their hosts' request, and unsuccessfully tried to purchase a "tame" bear as a traveling companion. They feasted on bear, dried salmon, and hare cooked with chestnuts. True adventure of a type that is hard to come by in the East today. Thinking that Van den Bogaert wasn't much older than my son when he made this journey....this type of adventure is denied our young people. I sometimes wonder if my son would have leapt at the chance to make this journey. I suspect he would have. Thank you, George O'Connor, and the other people involved in adapting this journal to the graphic novel format. The good news for me is, I don't have to use the crutches anymore if my ankle will support the weight. But I'm still spending a lot of the day with my leg up. Thank heavens for laptops. Now I have to try to figure out how to exercise until I can get back to my 4 mile walks (have a feeling that will be a while). But in the meantime I have been doing one thing I rarely do, which is watch daytime TV. Dr. Phil: young adult twins addicted to heroin, trying to raise their three children. The family that takes drugs together..... The brother, the father...well, it gave a new definition to "dysfunctional". Dr. Phil sent them, and their father, off to separate drug rehab programs. Jerry Springer: several women seriously trying to hurt each other, never figured out the story line. The Price is Right: Drew Carey looks great with all the weight he's lost! Oprah: Wasn't interesting. Too bad, may be the last time I get to see her show. Now I know why I never got addicted to daytime TV during my vacation time. I had a chance today to test out handicapped voting. Unintentionally. On the way to work this morning, I managed to sprain my ankle. At this hour of blogging my ankle is taped up and I am icing it. I'm using a clamshell support and walking with crutches. The last time I had to walk with crutches, I was 10 years old. Lucky me. At least I can put some weight on the foot. Thank heavens, I can't complain. So getting to the polling place, usually a pleasant walk from my house, suddenly turned into a logistical planning session. Now, in saying this, I am well aware there are people who do this kind of thing each and every day, some of them doing it every day of my lives. So I don't want to make a big deal out of this (as in "pity me! "-DON'T) but I wanted to tell you about my experience. It's sobering in a way, because the tiny bit of trouble I went to due to my sprain is nothing compared to what people in some countries have to go through, including putting their lives at risk. Spouse drove me, crutches in the back seat. First obstacle: the curb. I haven't quite gotten the hang of going up stairs with my crutches, so I had to remember the mantra: Good leg up, bad leg down. In other words you lead with the good leg going up, and the bad leg going down. I got up the curb and slowly made my way to the front door. So far, so good, except that my formerly fast walk has turned into a slow, deliberate crawl. Spouse was good enough to hold the door. At least in this point of my life I'm not as self conscious so I didn't expect, or care, if people stared at me. I was fortunate that I only had to wait a couple of minutes. I balanced on the crutches to sign the book you have to sign in New York State before you are allowed to vote. Until last year, we had lever voting machines. Now, we've joined the electronic age, but with paper ballots. So I somehow, while grasping my crutches, transported a long paper ballot, the special marking pen, and the privacy screen, to the corral where you do your marking. The poll worker asked "would it be easier for you to sit?" I told him, yes. So I got to see how the "handicapped" corral function worked. A part of the corral swings up and locks, and you can push a wheelchair under the table part. The worker then got a chair for me. I sat, marked my ballot, inserted it into the privacy sleeve, then got up, then carried (grasping my crutches at the same time) the ballot and the pen to the scanning machine. Thankfully, the scanning worked the first time. Then, reversing the process, spouse held the door, I went out to the parking lot, hurt my foot stepping off the curb because I haven't mastered "down" yet, hobbled into the car, and from there, home. The neat part was yet to come. When I signed onto Facebook there was a large "I voted" button Facebook asked members to click if they had voted. I did so and I got to see which of my Facebook friends had already voted. Some of them live in early voting states and at least one had voted early. If I could have seen into the future, and if NY permitted, I would have voted early too. But it was a good effort. And I am glad to report that I had a good number of voting friends. And, I hope you voted too.